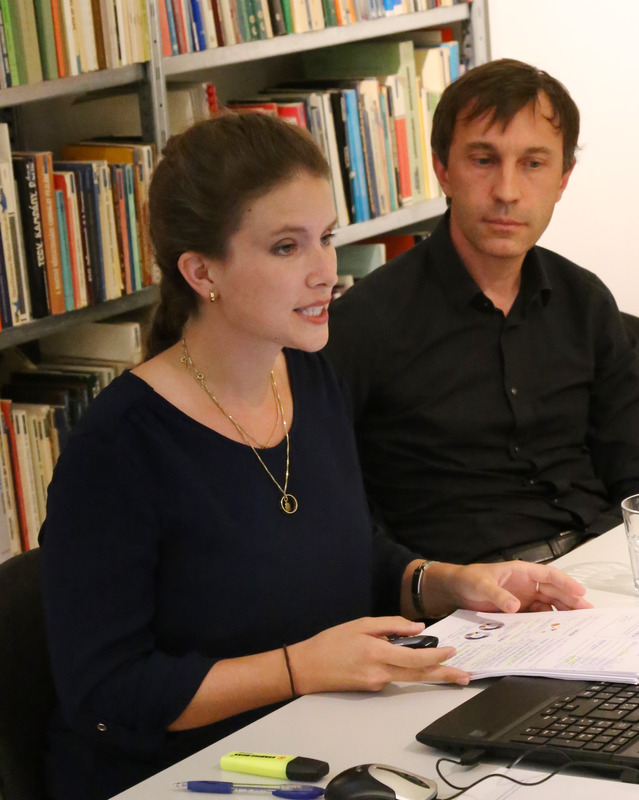 Julia Grübler and Vasily Astrov presented the new Forecast Report for the Central, East and Southeast European countries and their economic ties with Austria. Recent statistics point to continued robust GDP growth in most countries of CESEE. However, the economic peak seems to have already been passed in most Central and East European Member States of the EU (EU-CEE). The Visegrád countries are gaining in importance for Austria’s trade in goods, tourism and also as an investment location. Austria is a top 10 export destination for seven of the CESEE countries, for eight it is one of the ten most important countries for imports, and for seventeen countries Austria ranks among the top 10 investors. The wiiw forecast for CESEE has become more optimistic overall compared to spring 2018. For nine countries in the region, the growth forecast for this year has been revised upwards and only for five downwards. The prospects in the Western Balkan countries in particular have improved significantly, thanks to fiscal easing, progressive integration into international production networks and the latest rating upgrades. GDP growth is also accelerating significantly in several CIS countries, with the exception of Russia, where the positive effect of the recent oil price increase is largely offset by the difficult geopolitical environment. The expected slight slowdown in growth in EU-CEE is due to several factors. On the one hand, private consumer demand is weakening somewhat on account of partly higher saving rates and an increase in foreign workers’ remittances abroad. On the other hand, the economic slowdown in the euro area is dampening the export development of many EU-CEE countries; protectionist tendencies, especially in the United States, may also play a role. However, a significant slump in growth (by around 3 percentage points in 2018) is only expected for two countries, Romania and Turkey, whose economies were in a state of ‘overheating’. The investment dynamics in CESEE generally remain strong. Nevertheless, double-digit growth rates such as those recorded by several EU-CEE countries in the previous year are no longer to be expected. This is mainly associated with the dynamics of EU transfers: 2017 was the last year in which funds from the EU’s previous Multiannual Financial Framework (MFF) for 2007-2013 could be absorbed; this year this is no longer possible. In the Western Balkan countries, which are gaining importance as an alternative to the increasingly expensive EU-CEE countries, foreign direct investors are becoming more and more active. In addition, infrastructure investments are slowly gaining momentum. The long-term outlook for CESEE is mixed and, in the case of most EU-CEE countries, somewhat clouded by the planned reduction in EU transfers from 2021. With the exception of Croatia and Bulgaria, they are not expected to join the euro area in the foreseeable future. The prospects for the Western Balkan countries to join the EU have recently improved, which is a stabilising factor. In Russia, the outlook is dominated by the relatively low oil prices to be expected and the geopolitical conflict with the West, and in Turkey the current growth model cannot be maintained in the medium to long term. The mutual trade links between many CESEE countries and Austria remain close. The Visegrád countries (the Czech Republic, Hungary, Poland and Slovakia) are the only destination for Austrian exports to have gained shares (by a total of 0.75 percentage points) since the 2008 economic crisis, while the Western Balkans and the Baltic states (as well as the EU as a whole) have lost some of their importance. Austria plays a major role as a trading partner particularly for the EU-CEE countries: in 2017 Austria was a top 5 export destination for Slovenia (7.4%), Croatia (6.2%) and Hungary (5%) and a top 5 country of origin for imports for Slovakia (10.2%), Slovenia (9.3%), Croatia (7.5%) and Hungary (6.3%). The proportion of arrivals and overnight stays in Austria from CESEE countries is constantly increasing. Austria remains a top investor in CESEE. The country is the third largest investor in EU-CEE and the second largest in the Western Balkans, even though Austrian FDI stocks have recently fallen due to restructuring, especially in the banking sector (UniCredit). Overall, CESEE countries absorb 32.5% of Austria’s total investments abroad. This is to be compared with a 40.7% share in FDI income; Austrian investors in CESEE thus benefit to an above-average extent. The share of Austrian banks’ non-performing loans in the region has decreased for the countries with the largest exposures. CESEE citizens represent 9.7% of the Austrian population, with the largest groups coming from Serbia and Turkey (1.3% each), followed by Romania and Bosnia and Herzegovina (1% each). Their share in Austrian employment often considerably exceeds that in the population. As a result, CESEE citizens account for a significant share in the total wage expenditure of Austrian enterprises on foreigners, especially in the case of Hungary (22.5%), followed by Slovakia (10.7%) and Slovenia (6%).